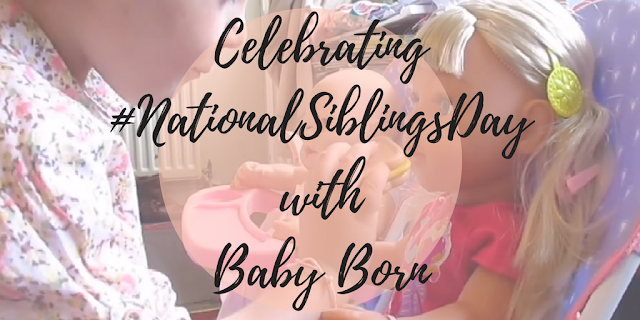 Recently Baby Born got in touch and asked if we would help them spread some sibling love this #NationalSiblingDay. My guys love to play dolls, in fact its what my girls do most. (Jenson used to love playing dolls but hes recently started to outgrow this, sob!) in fact when ever we go in any kind of toy shop they try and get the latest doll, or accessory.